In June 2016, I was accompanying my husband on his official trip to EPIC headquarters in Verona, Wisconsin. 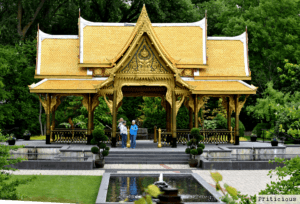 To entertain myself , I googled Things to do in Madison (Verona is a suburb of Madison) and voilà, Olbrich Botanical Garden is in top five list. I immediately got ready and called for a taxi . On arrival, I saw Bolz Conservatory’s much talked about glass pyramid. 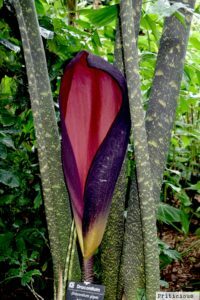 It is filled with tropical /subtropical common and rare plant species. Enough for me to buy a 2$ ticket and feel the tropical bliss with small rushing waterfall, fragrant orchids , koi fishes , quails and birds. I stepped out for outdoor gardens. These gardens are open for public. Entry to the garden is free. Let me list the garden sections for you. This time of the season Rose, Herb, Hosta, Thai, Shade, Sunken and wildflower garden were very welcoming. Have you heard of Dye herbs ?. It was first time I was hearing and thought of my sister for her kid’s school project. If bird watching is in your list then stroll around Birch and Shade Garden. 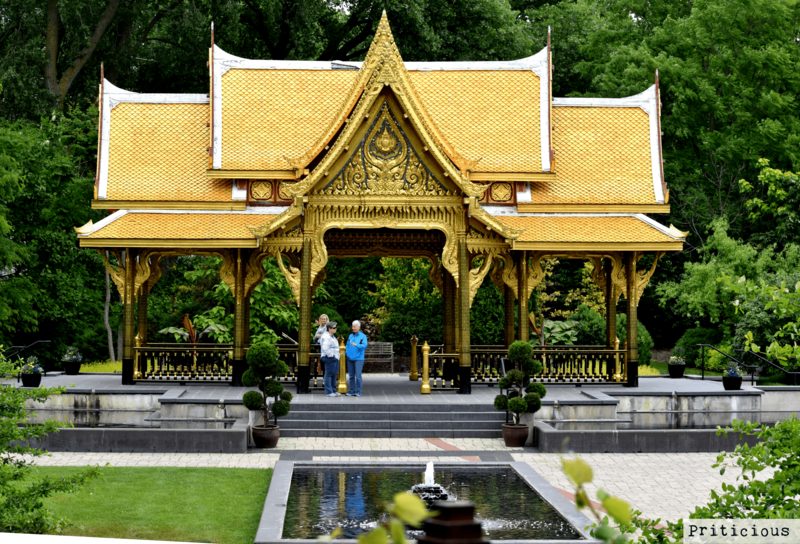 Thai Garden, It has the Sala which is only one of four located outside of Thailand. The others are in Germany, Norway, and Hawaii. Manufactured in Thailand and assembled in Wisconsin. It is a masterpiece which is appreciated by all visitors in all seasons. I spent around 4 and half hour to walk these memorable 16 acres by foot. Exemplary initiative to use garden leave as compost.